Our product range includes a wide range of line interactive ups systems. We specializes in designing Line Interactive UPS Systems, which is excellently designed and available to our clients at reasonable rates. Line Interactive ups are better than any standby ups as they provide faster response to a power failure. 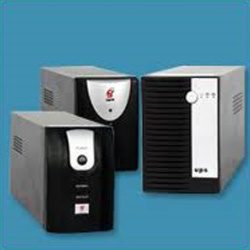 In this ups the separate battery charger, inverter and source selection switch have all been replaced by a combination inverter which makes it more efficient and reliable. The raw material used is of very high quality and all the modern techniques are utilized in the manufacture of the product. Looking for Line Interactive UPS ?